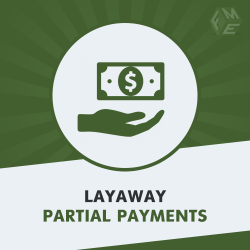 Partial Payment Magento 2 extension by FME allows you to sell products and services at custom-made installment plans. You can configure layaway pricing for specific products or all the products. Set down payment, total installments, & duration to create layaway plans. You can create product specific & global layaway plans in your store.